Over the years I have increasingly become more and more liturgical. For the first decade of my preaching ministry I preached sermon series. 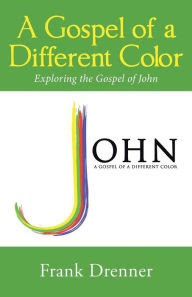 For the most part, I selected the topics, sometimes based on specific needs I had heard expressed within the congregation; other times they were topics I was personally interested or considered important. You can search my blog to find all kinds of examples of this approach, which culminated in my doctoral project in preaching. Last year in my previous appointment I launched a new worship service that was highly liturgical, including preaching from the assigned lectionary texts of the day. I even made it a goal to link all four texts together for the sermon. Since coming to Grace last month, I have continued my practice of preaching the lectionary, but only focusing on two texts. 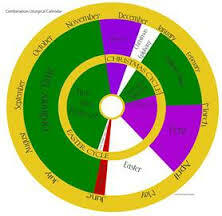 Advent (the four Sundays preceding Christmas) is the beginning of the church year. The color is purple, which symbolizes royalty. It is a time of preparation for the coming of Christ-- not only at Christmas but his ultimate return, often referred to as the Second Coming. Advent means "coming." Christmas (December 24 - January 6): You've heard of the 12 days of Christmas, right? Yeah it's a thing. The color is white. (There are special Sundays within Ordinary Time that merit their own color and emphasis, but they are not technically seasons of the year). Ordinary Time was once referred to as Kingdomtide, which I will admit is a much more exciting title for a season. Ordinary Time is not exciting. Ordinary never is-- it's ordinary. But when most of the year is ordinary it makes the special emphases stand out more, right? I mean if we observed my birthday or anniversary every day it would be great, but not as special. The texts assigned for Ordinary Time generally promote the spiritual life. A couple of weeks ago, the gospel text focused on generosity over greed. Last Sunday the texts addressed faith. And this Sunday August 14th will address conflict and division. If there is a more relevant topic for our society or my United Methodist denomination than conflict and division, I'd like to hear it! For example, consider the presidential election, which is still 89 days away, if my math is correct. Both candidates nominated by their respective parties have approval ratings among the population under 40%. That has never happened before. Both candidates have historically low approval numbers within the party that actually nominated them. Within my own denomination, no one knows if it will even exist a couple of years from now-- our distrust and lack of listening to each other is so rampant. In this week's gospel text, even Jesus says, "what stress I am under until it is completed!" (Luke 12:50). We can relate! Rather than ignoring the conflicts that naturally arise between people in relationships, Ordinary Time brings it front and center. Maybe the root of our brokenness is found in our discomfort with conflict. If the point of Ordinary Time is to focus on practices that promote spiritual growth, let's turn toward, rather than away from, our hurting relationships. If you worship at Grace, let's come together for worship and learn to grow together, embracing the conflicts that are inherent to relationships between people. If you worship elsewhere, move here-- no, stay where you are-- don't run away from your covenant community when you experience some cracks. Or if you are looking for a place to experience spiritual growth, find one that emphasizes authentic relationships with others and God and invest yourself there. By embracing others, we will be able to live into Jesus' question at the end of this Sunday's gospel lesson: "Why do you not know how to interpret the present time?" (Luke 12:56).